Sony Pictures Classics has acquired rights to Ralph Fiennes’ film The White Crow. The film is based on Julie Kavanaugh’s book Rudolf Nureyev: The Life, directed by Fiennes and written by David Hare (The Hours, The Reader). HanWay Films, who is handling worldwide sales, co-financed the film together with BBC Films and Rogue Black. Ballet dancer Oleg Ivenko plays Rudolf Nureyev, with Adèle Exarchopoulos (Blue is the Warmest Colour) as Clara Saint, and Fiennes as the Russian ballet coach, Alexander Pushkin. The cast also includes Sergei Polunin, Chulpan Khamatova, Olivier Rabourdin, Raphaël Personnaz, and Louis Hofmann. The film shows Nureyev’s defection in 1961, masterminded by his great friend, a 21-year-old Parisian, Clara Saint. 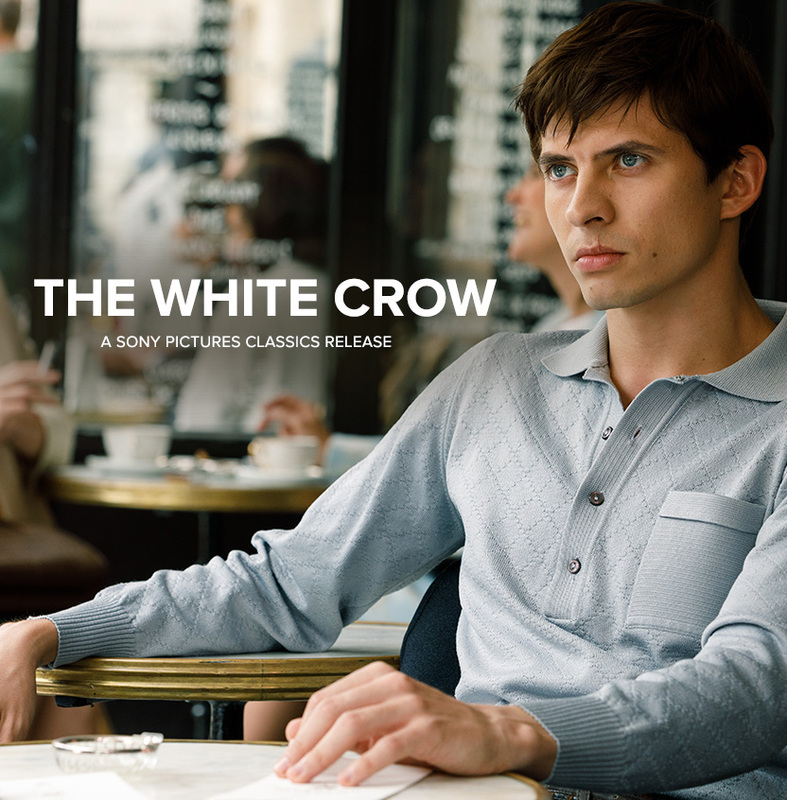 The finale is at Le Bourget airport in Paris, when ‘The White Crow’ makes his leap to freedom. Ralph Fiennes has fully captured the times and early life of Rudolph Nureyev in the most thrilling way possible with the pulsing energy of the man himself. Also, The White Crow is especially timely. From Nureyev’s rich life experience in Russia and Paris to his suspenseful defection to the West, we are immersed in an authentic story we’ve never seen before. This is one of those rare movies that crosses so many borders culturally as a satisfying entertainment. We look forward to bringing Ralph’s movie to the public. No date yet, only “2018”. I’ll keep my eyes open. Interesting to follow the long journey of getting this film made finally. Wasn’t Artem Ovcharenko cast for Nureyev at one point? I’m interested to see what comes out as the various biographies of Mr. Nureyev were quite censorious and I think, were written in different times and never particularly tried to explore what must have been a very, very complex psyche. For myself, I don’t feel I have the right to judge, or to edit his shortcomings if I find them distasteful. What I know is he had 500 billion Volts and brought a fantastic passion to his art. I hope the film does him justice both as an artist and a man. In everything I have read, his young dancers liked him and he was often generous in his time and helpfulness towards them. Julian Braunsweg wrote that he never had any problems with Mr N over money; perhaps Mr N was adaptable with those he like and absolutely bloody obdurate with others! Who knows….. It would be nice to see that someone was well-cast as Erik Bruhn……. joyous angels rest for them both.